PEDIATRICIAN-TESTED to be gentle enough for everyday use, Burt’s Bees’ Baby Bee multipurpose ointment moisturizes and smooths baby’s skin by forming an effective barrier against dryness. Petroleum-free and non-irritating with no phthalates, parabens, petrolatum or sulfates, it’s the perfect product for mom and baby to share. Burtsbees.com for stores. MADE WITH NATURAL AND ORGANIC ingredients, Shea Moisture’s African Black Soap body wash will hydrate and calm problem skin, whether you use it daily in the shower or as a soothing bubble bath. Aloe moisturizes and calms dry, sensitive skin, oats help relieve irritated skin while absorbing excess oil, and vitamin E protects skin from free-radical damage. Available at Walgreens, Target and Ulta. SONIA KASHUK’S DEWY LUXE lip and cheek balm is a deluxe multi- tasker. Available in rosy Enchanted (shown here) and peachy Charmed, the balms impart sheer, brilliant color to lips and cheeks. The weightless formula applies evenly with a wand applicator and blends to a dewy finish. Lychee extract offers hydration and antioxidant protection. Available at Target. DE-STRESS YOUR SKIN with Kiehl’s Skin Rescuer—Rosa Gallica botanical extracts help minimize skin’s visible response to stress, while Mannose, a rare barrier-protecting sugar, shields and helps maintain skin to promote recovery. The result is improved skin quality, and decreased dryness and blotchiness. 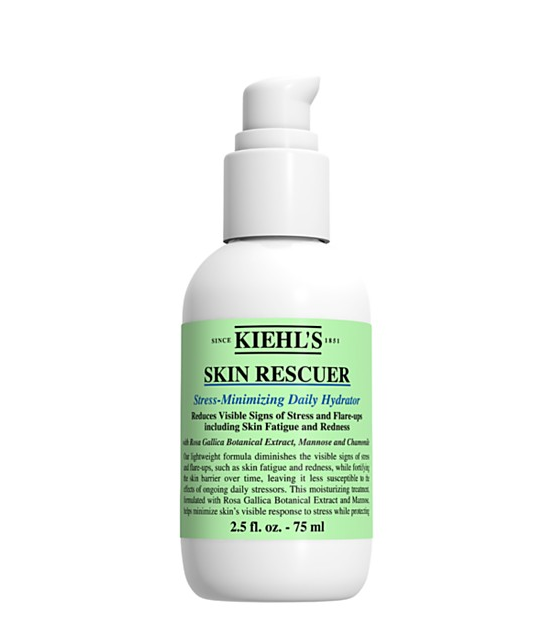 Kiehls.com for stores.